In both Games 10 and 11, Anand managed to exert pressure on him in the middlegame, but in both, he lost his composure at key moments and either bailed out to a draw (in Game 10) or played some coffeehouse style moves (in Game 11) to cut through some of the tension. In Game 10, Carlsen played into a pretty theoretical Grunfeld line (and again, my friend Dan Malkiel somehow called this opening choice … although it certainly doesn’t seem and didn’t look like the right choice to me!) 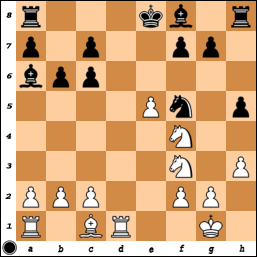 and was put under some pressure after the initial opening moves. For White, he’s got the d6-pawn and the bishop pair. For Black, he’s got the queenside majority and a nice bishop on d4. On the downside for White, his rooks don’t have any obvious way into the position (besides the e-file). And for Black, he’s got two pieces that are way out of play with his …Na6 and …Ra8. So Magnus started with 23…Nb4 (if 23…Re8, both 24.a3 Nb8 25.Rb1 playing to dominate the knight, or 24.Rfe1 — that e-file! — are clearly better for White). 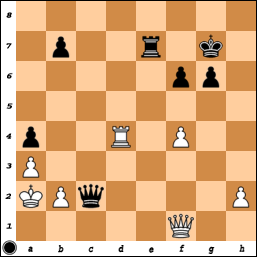 But instead of playing to improve his pieces, Anand chose the passive 24.Rd2, ceding the e-file immediately to Black. After 24…Re8, Magnus said he knew he was out of trouble. But instead after 24.a3 Nc6 25.Rfe1, Black still has real challenges to overcome (and possibly 24.Rfe1 is good too). Well that was quick. After 20 moves and only about an hour, Game 9 was drawn. I didn’t think Anand would (or should) play the Berlin, but unlike Game 7 where Magnus was the one with the new plan in the endgame, this time it was Anand who got his novelty in first with an improvement over a 2-year old Dominguez – Ponomariov game. 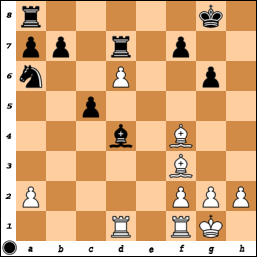 In the above (already rare) position, Anand played 13…Bb7. It’s already rare because after Magnus’s rare 11.Ne2 (4th most common move there), Anand’s 11…b6 is clearly second in popularity to 11…Be7. I don’t know much about the Berlin (I’ve played into it once as White – a win vs GM Zhang Zhong in 2002 – and once as Black against a 2500 IM in 2010), but I almost wish that Kramnik hadn’t revived it in 2000 … 1.e4 seemed so much more interesting before the Berlin came along. Anyway, on the one hand, it’s a good result for Magnus as he inches closer to the 6.5 points needed to retain the title, but as I wrote yesterday, a quick draw isn’t so bad for Anand either. With the games being on a Black-White pair from his standpoint now, he has more time to prepare for his White game and more energy saved for exerting pressure in that White game. But if he doesn’t win tomorrow, then he really does need to liven things up in Game 11. For Magnus’s part, I’m a bit surprised he went back into the Berlin endgame today. Maybe he had another fresh idea planned, but otherwise, the 4.d3 line he chose in Game 2 seems very much suited to his style. He’d get a position where there are many ways to proceed (so you can’t prepare for everything) and where he can simply try to wear down his opponent little by little. He has to be favored over Anand in those kinds of positions. Probably he did have some new idea in mind, because he was the first to deviate from Game 7 where he applied a lot of pressure in a main-line after 11.Bf4, and he deviated with a move that is not considered all that testing at the top it seems. Match strategy and opening preparation! As for tomorrow’s opening predictions … I suggested a 4…Bb7 QID yesterday, but I want to say that Anand won’t play 3.Nf3 or 3.g3 if the typical moves 1.d4 Nf6 2.c4 e6 show up. That leaves a Nimzo of some sort (maybe the 4.f3 Nimzo which Magnus has struggled against, but has almost certainly studied in depth for this match), or something else entirely (like the Scotch after 1.e4 e5). Either way, I think Anand needs to get some new idea in first to have real winning chances because if he’s surprised like in Game 8 (in the 5.Bf4, 6…c5 QGD), I’m not sure he’ll press all that well. Another 4 games down, but this time Magnus emerges +1 for a 4.5 – 3.5 lead. Based on this set, it looks like the match is slipping away from Anand, but stranger things have happened. In an objective sense, this didn’t feature Anand’s best chance out of these 4 games (Game 6 did), but it was the one where he should have gotten more out of the game. In a QID sideline that my friend Dan Malkiel has actually been talking about for a while, Anand still managed to get a pleasant edge. But just as he had a chance to turn the screws in the endgame, he went pawn grabbing (or material equalizing) too quickly and released all the pressure. Instead of 26.Rxa7, both 26.Kg2 and 26.Rc7 were more testing. 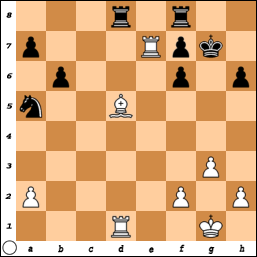 The point of 26.Kg2 is that White still threatens the a7-pawn, but also has the tactical trick of 27.Bxf7! Rxd1 28.Bh5/Bb3+, restoring material equality with the better endgame. The idea of 26.Rc7 is to restrict the offsides …Na5 first, and then only play 27.Kg2 to set up the same tactical idea. As it was, after 26.Rxa7 Nc6, White can’t maintain the pressure on the queenside/7th rank, and the game petered out to a draw very quickly. I’m not sure Magnus would have gotten the same plus from the opening (I doubt it), but I have no doubt that if colors were swapped at this point, he’d have made Black sweat a lot more than Anand did. It was especially strange since the press conference suggests that he did see both alternatives, so I don’t really understand why he didn’t try one. To win the match, he’ll almost certainly have to do more than convert on +/- positions. Another year, another World Championship match for Anand. At this point, he’s played World Championships in 2007, 2008, 2010, 2012, 2013, and 2014 (all but the first of those being matches). After last year’s debacle in the World Championship, I wrote that I saw retirement in the near future for him. I even gave interviews to the same effect … But I was quite wrong about that, and I was quite wrong in my prediction that he wouldn’t do well in the Candidates Tournament. Not only did he do well, but he qualified for a rematch with Magnus! Still, despite that win and another tournament win in Bilbao in the fall, I wasn’t holding out a lot of hope for him in this match. Given his improved form and Magnus’s more inconsistent form this year, I thought it’d be a more competitive bout than last year’s match. But despite that, I had in mind +2 for Magnus with 0 wins for Anand. Like last year’s match, we’re at a 2-2 tie after 4 games, but the 4 games this year have been quite different than last year’s set. A 5.Bd2 Grunfeld got interesting in a hurry and while Magnus was allowed to press near the end, Anand’s defenses held. Magnus played quite well to defuse White’s initiative and in his trademark fashion, pounced on minute inaccuracies to generate real pressure. In the following position, he played 42…Re2 when a lot of postgame commentary focused on 42…Re3 (threatening 43…Rxa3+ 44.Kxa3 Qb3#!). The analysis of 43.Rd7+ Kh6 44.Rxb7 Rb3 45.Rxb3 axb3+ 46.Ka1 Qxh2 seemed to dominate the proceedings, maybe because many engines like the idea of winning a pawn in the short-term, even though White’s king is horribly placed and his queen is tied to the 1st rank. I think that many claimed Magnus missed a win here on the basis of this, but it’s always easier if your opponent doesn’t resist very much. 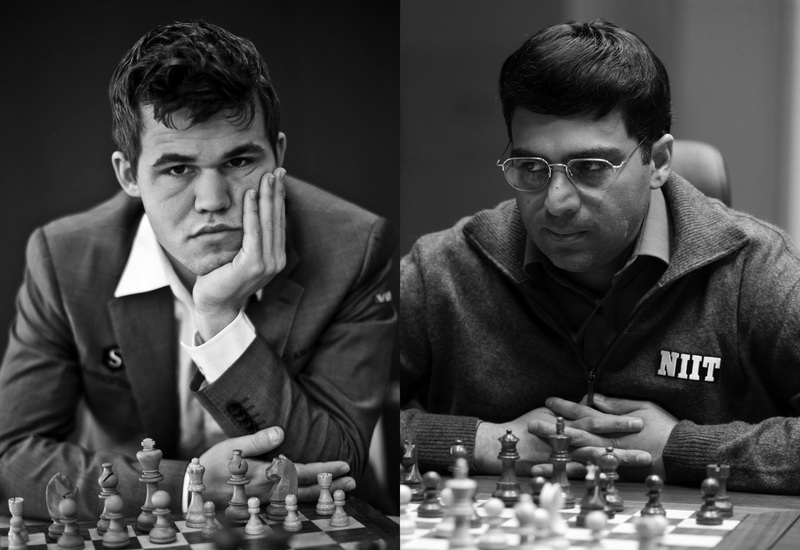 The 2014 Candidates Tournament is in the books, and as you probably know, Anand took 1st place! In so doing, he set up a rematch with Magnus Carlsen (currently scheduled for end of this year), the first World Championship rematch since Kasparov-Karpov in 1990. He’s also the first ex-Champion to re-qualify via a Candidates Cycle (tournament or match format). There’ve been plenty of rematches in the past, but most were via an automatic rematch clause that most Champions enjoyed from the 1930s through the 1980s. Also, since then, I’d say the chess world has generally advanced at a faster pace and so if you were Champion and then lost the title, it was probably a sign that your time was up rather more than it used to be in the 1950s, for example. I recently saw a link to the following article about Magnus Carlsen. I have read he is easily bored (there is a theory that Carlsen sometimes deliberately loses the first few games in a tournament in order to make life more interesting); probably shy (in an interview for The New Yorker he barely made eye contact with the journalist) and possibly arrogant. There’s a theory that he “sometimes deliberately loses the first few games” to spice things up?! Given he’s averaged only a few losses in classical play the past few years, this is an easy one to check … and nope!